TRIPOLI, July 15, 2014 - Libyan government spokesman Ahmad Lamen addresses a press conference in Tripoli, Libya, on July 15, 2014. 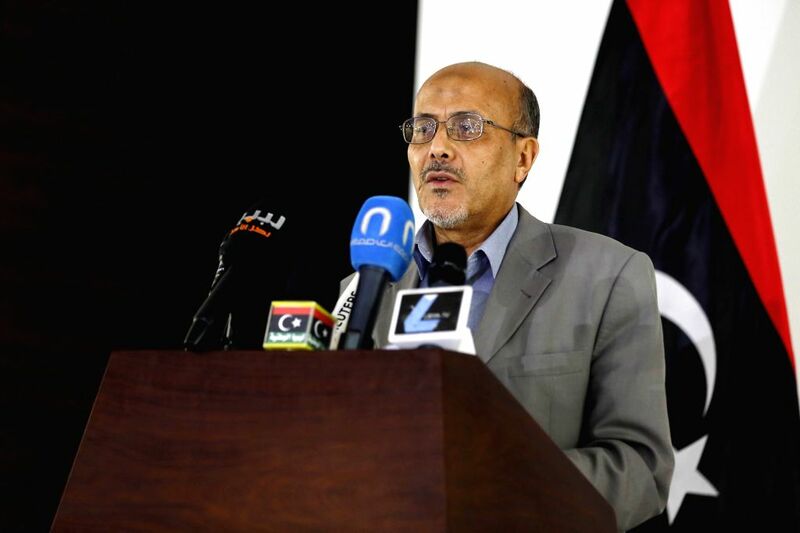 Libya is considering international intervention to curb the ongoing violence, Lamen said on Tuesday. Intense fighting has been going on in the capital city of Tripoli since early Sunday when Islamist armed groups launched attacks on Tripoli International Airport and some key road intersections.